The last four games could not have gone much worse for the Yankees. 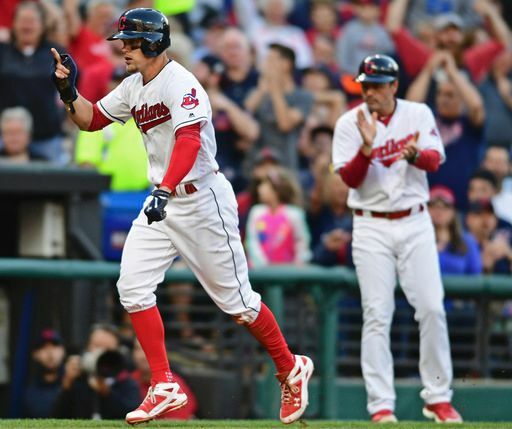 They were dominated by two aging, not-very-good veterans in Anibal Sanchez and Jordan Zimmermann on Tuesday and Wednesday, spoiled Sonny Gray’s debut while almost being shut out by Corey Kluber yesterday, and then were dominated once again by Trevor Bauer and his 5+ ERA tonight. 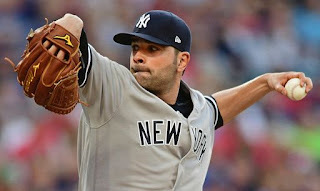 The story line today was another new Yankee making his team debut in Jaime Garcia, and, well, it could’ve gone better, to say the least. Garcia’s first inning as a Yankee went much smoother than Sonny Gray’s. After walking Lindor, Brandon Guyer flew out to left, and Michael Brantley grounded into a 5-6-3 double play to end the inning. The second inning didn’t go nearly as smoothly, however. After two quick outs, Carlos Santana worked a walk, and Austin Jackson doubled down the left field line, scoring Santana. Jackson scored on the next pitch, as Sanchez was unable to handle a fastball from Garcia, and it scooted to the backstop. Not sure what really happened there either. Sanchez leads the majors in passed balls now, by the way, with 12. The inning didn’t end there either, as Roberto Perez walked and Giovanny Urshela singled. Lindor hit a sharp line drive to left field, but Didi made a nice leaping catch to save a run and end the inning. Garcia and the Yanks got some really bad luck during the third inning. After a single by Guyer, Brantley lined a single of his own to right field. Guyer attempted to move to third, and Judge’s throw to third was a good one, but it hit Guyer and ricocheted into the stands, leading to another run for the Indians. Tough luck on that one. Brantley later moved to third and scored on a sacrifice fly by Encarnacion, giving the Indians a 4-0 lead. He rebounded nicely in the fourth, though, retiring the Indians in order while picking up a strikeout. Offense has been scarce for the Yankees lately, and it continued today until the fifth inning. A first inning single by Judge, a third inning single by Todd Frazier, and a fourth inning walk by Judge and single by Didi was the only offense the Yanks could muster. However, with one out in the top of the fifth, the Toddfather launched his second homer with the Yankees just over the right field wall, changing the scoring to 4-1. Torreyes and Gardner singled right after this, and Clint Frazier chopped a grounder down the third base line, but Urshela made a beautiful snag, and threw home to retire Torreyes and save a run. It was a fun play to watch for everyone who isn’t a Yankees fan. Judge then worked a walk, and that left it all up to Sanchez…who promptly struck out on a curve ball away in the dirt. He’s been getting fooled by those pitches constantly since the All-Star Break. Welp. The Yankees’ lone run was erased almost as quick as it came. Guyer walked, stole second, and then scored on an RBI single by Brantley. After a wild pitch that moved Brantley to second, Ramirez grounded out to first, moving Brantley to third. That was all for Garcia. His Yankee debut: 4.2 IP, six runs (five earned), five hits, four walks, four strikeouts, roughly ten pitches that hit the dirt before home plate. Woof. Chad Green replaced him, and promptly spiked his own pitch in the dirt that allowed Brantley to score. Not good, folks, not good. Nothing particularly interesting happened in the sixth and seventh innings. A Headley double and an Urshela single were the only base runners. Shout out to Chad Green, who threw 2.1 innings in relief, picking up five strikeouts. Joe Smith replaced Bauer to begin the eighth, and promptly struck out Judge and Sanchez. He was then replaced by former Yankee and lefty Tyler Olson, who served up a bloop single to Didi. Holliday struck out to end the inning though. He still looks completely lost. Tommy Kahnle relieved Green in the eighth, and served up back to back doubles to start the inning off. They could not have been more different too. Ramirez looped one down the left field line, and Encarnacion drilled one off the left field wall, missing a home run by a few feet. Santana drilled another pitch into the right center gap, but a nice sliding catch by Gardner stole a hit. He then struck out Austin Jackson and got Perez to ground out to end the inning. Bryan Shaw came on for the ninth. Headley greeted him with a single, but Todd Frazier grounded into a double play. Torreyes then slashed an infield single, and moved to second on defensive indifference. Gardner then singled to center, and Torreyes scored to make the score 7-2. Clint Frazier grounded out to the end game however. It was not a fun game for anyone tonight. This team looks awful in all aspects of the game right now, and they need to turn it around soon. Let’s hope they can do so behind Jordan Montgomery tomorrow.